It was announced on Geoff Johns Twitter account earlier today that Zatanna, who up until this point has been involved with the Justice League Dark, will be joining up with the main Justice League team starting with issue #22 this July, and is bringing along a new costume. The look is very reminiscent of her Satellite/Detroit Era outfit (cape, boots, unitard) but also seems to incorporate elements of her modern day appearance as well (the now trademarked fishnets). Gone are the bustier and leather pants that have been a big part of her Justice League Dark ensemble (which was ridiculed by Mary, Queen of Blood in the JLD/I, Vampire crossover) since the beginning of the New 52. 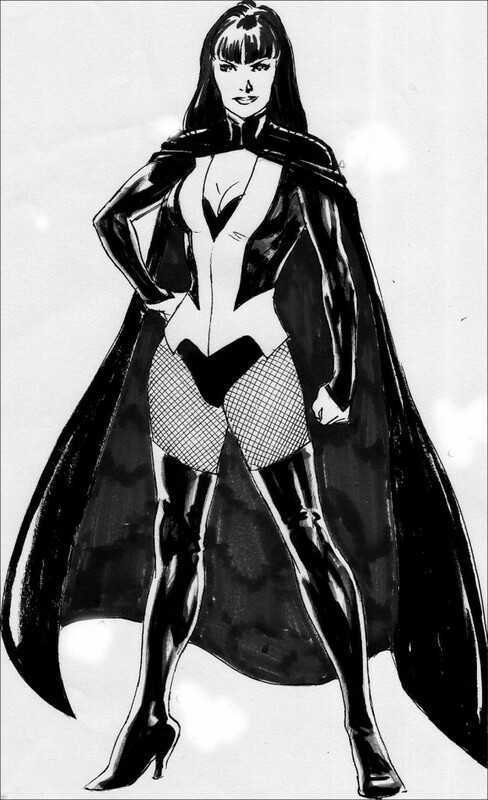 What are your thoughts on Zatanna’s new look? What about her move to the main Justice League? Leave your thoughts in the comments below. As a big fan of Zatanna, I think the outfit is a nice amalgam of what has come before, but I fear that even the “regular” Justice League is too dark for the “Mistress of Magic” to display her true, vibrant personality. Would it be too much to hope for another Paul Dini mini-series featuring “Zee”? I’m definitely a fan of the outfit (although I always did like the top hat…but the cape will suffice) in general but I agree, I’m worried she’ll just be swallowed up by the book and not really utilized to her full potential. On one side I’m glad, since JL sells incredibly well and it’s an opportunity for more people to see her, but on the other I actually really enjoyed her in JLD. Her chemistry with Constantine, especially when Lemire took over, was one of the biggest highlights of the series. I wonder who, if anyone, will take her place on the team. I agree with you on the Dini thing though, we could always use more Dini/Zatanna action. I’m really excited to se more minor characters come into the League–I think the book will benefit from Johns working with chrparacters who are either new or who aren’t really big stuff. I’m still hoping for the Red Tornado reference made in the Throne of Atlantic arc to become something tangible. You, me, and most people Ryan. I’d love to see lesser-known characters get a chance to shine and Red Tornado has been on my list for a while. Though, considering they’ve done JL, JLI and JLoA…I wonder (especially given Zatanna’s new look) if we might see a return of Justice League Detroit. Probably not, but then again I just want to see Elongated Man sometime in the future. 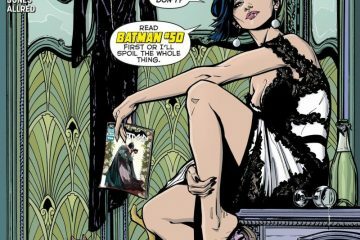 Between Zatanna joining Justice League and Constantine breaking out into his own book, I’m kind of worried about the fate of Justice League Dark. I know heroes can be in multiple books and on various teams at once but I feel like a JLD/Justice League crossover would do better than sticking one of the JLD members in Justice League. It’s a pretty valid fear, though as long as Lemire is writing the title I’m pretty sure it’s safe. I used to use the argument that they needed a book to put all the characters from a cancelled series in (see Justice League Intl. and OMAC) since the book features/has featured Amethyst, Andrew from I, Vampire and Frankenstein, but like JLI that’s not that great of an argument. That being said, I think the series is safe. Lemire and Snyder almost seem uncancellable right now. It will be interesting to see how Constantine (the book) and Zatanna in JL will do. Hopefully Zatanna does reappear in JLD occasionally but right now this whole thing is wait and seem. I’m optimistic though since I do love Zatanna.